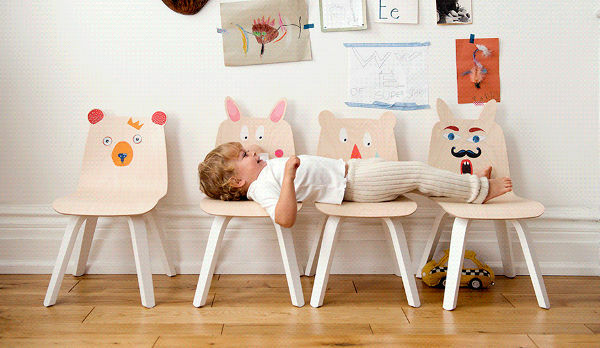 We adore Oeuf children’s furniture – and we adore this latest collection, which allows the kids to be the designers. Children have the uncanny ability to bring inanimate objects to life with their imaginations. 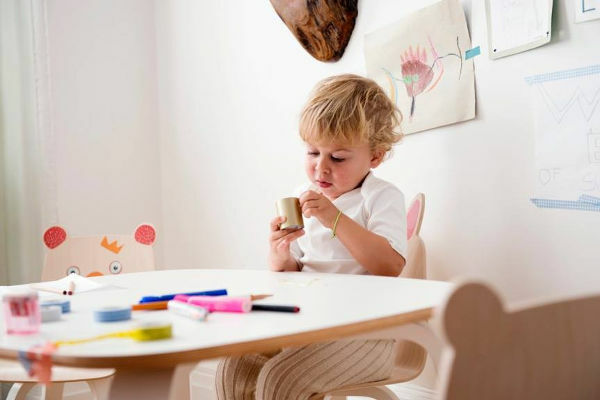 The Oeuf Play Collection lets them go one step further, and give their table and chairs personalities, through the use of stickers. The beautiful bent plywood chairs feature two cute little ears – either bunny ears or bear ears. And as appealing as they are to children, the classic Oeuf aesthetic makes them just as appealing to parents. The chairs are sold as a pair and come in either dark or light wood for US$226. The matching table costs US$269 and the fabric stickers are available for US$19. It doesn’t appear that this collection has hit our shores, but we’ll let you know once it does.